Notes: Ninjas. We all know that they flip out, cut heads off, etc. But what about their free time? Do ninjas have hobbies? Pets? Friends? What is a ninja's worst enemy? 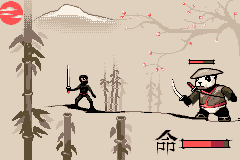 Tackle the ninja from whatever angle you want in September's first Mockup Frenzy! Is this your first Mockup Frenzy? Why not check out the rules & results from Mockup Frenzy #1: Mobility! Big WIP, supposed to be a ninja in a supermarket or something, I don't really know yet, suggestions on where it should be and crits if you have any. EDIT: I have no idea what I was on when I was shading and making the body. Ohh I've got an awesome idea for this. since this is for a videogame mockup, there's little point mentioning that this site is terribly inaccurate, but if anyone is looking for a history lesson, look elsewhere......still, it has some fun stuff. I have some ideas, but with classes being crazy like they've been and still no mouse idk if i'll have any time. Here's my entry so far, got a little more to go on this before it's fully done, but I can at least explain what I'm thinking. 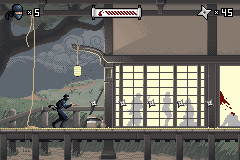 So in my ninja game, "A Business Time To Kill" the entire thing takes place in a giant office building type place, a la high rise building style. 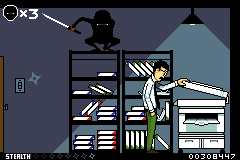 So, in it you can play either the bad guys (shown above) in a splinter cell style game, and your goal is to off as many office employees without getting caught. In this side of things, you're invincible, because let's face it, ninjas are just that. 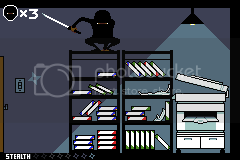 However, getting caught can cause various things, such as calling up the Business Ninja, who is the protagonist of the good side. If you're caught by him, he will almost definitely kill you, a risk you take messing with a master ninja. At some point you could become so bad you could kill him,but needless to say I haven't gotten that far into the thought process. 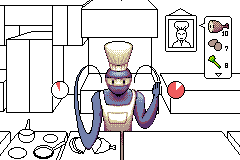 In any case, more on the other side when/if I make another mockup. Enjoy this for now. I love that style, Quark. It reminds me, for some reason, of a Chuck Jones cartoon. Alright, did a few things here and there... added AA, made it look not like total crap(The face, anyway). Still though, any suggestions on where he should be(I'm still thinking store, an adult video store would be pretty funny aswell)? Okay cool, this is looking awesome. The B.O.B & AdamAtomic: True, sorry.